With the winter season nearly upon us, the Appraisal Institute encourages homeowners to winterize their properties now to benefit from reduced household costs and to enhance comfort. 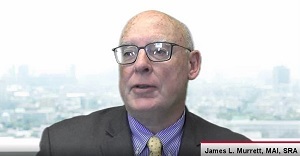 In the Appraisal Institute’s latest video, the organization’s 2018 president, James L. Murrett, MAI, SRA, shares insight on how to protect homes from the cold. Murrett explains how simple things like using smart and programmable digital thermostats, sealing air leaks and using heat pumps can lower energy bills which can be costly during the winter. Murrett also notes that there are several home renovation projects that have a high expected return on investment. It’s not too late for consumers to start weatherizing their properties. Watch the video to learn more about which projects may be beneficial, and how to begin preparing for the winter.